We've already heard multiple rumors suggesting Apple will unveil a so-called iPhone SE 2 later this year, and a new supply chain report from Chinese news website QQ.com claims to have knowledge of the device's tech specs. First, the report says the new iPhone SE won't look like the iPhone X, which would make sense given it's a lower-end device. Instead, the new model will purportedly have a similar design as the original iPhone SE, with a metal back and frame, top and bottom bezels on the front, and a home button. A key difference would supposedly be a larger 4.2-inch display, but this is questionable given it could make it harder to use the iPhone SE in one hand, which is preferred by a subset of customers. However, it's certainly possible Apple could trim down the bezels of the new iPhone SE slightly. Apple is likely more focused on making under-the-hood improvements to the iPhone SE, as the device is now outdated by a few years. The report claims the new model will be powered by a faster A10 Fusion chip, although it will supposedly still have 2GB of RAM with 32GB or 128GB of storage available. The report suggests Apple is planning to unveil the iPhone SE 2 at WWDC 2018 in June, which is certainly possible, but Apple hasn't introduced a smartphone at the event since the iPhone 4 in 2010. If history repeats itself, the new iPhone SE could be introduced at a smaller media event around March. While most of these tech specs would make sense, the source doesn't have an established track record, so this rumor should be viewed with some skepticism. KeyforWeb.it spotted the report earlier. 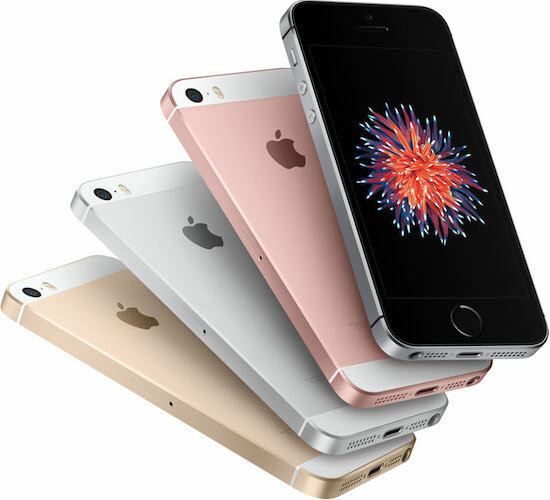 There have been many rumors about Apple launching a new iPhone SE in 2018, with many of the sources based in Asia, including research firm TrendForce and publications like the Economic Daily News. One of the latest rumors suggested a new iPhone SE with wireless charging could launch in May-June. KGI Securities analyst Ming-Chi Kuo, who relays information from Apple's supply chain in Asia, recently cast some doubt on rumors about a second-generation iPhone SE launching in the second quarter of 2018.
ugh, why would anyone buy that thing but if they HAVE to, why can't they at LEAST make it the form factor of the 6 series. What's the point in keeping with that 5 series?! I’m all for an iPhone SE 2. If it has an upgraded processor, improved display and retaining the 3.5 mm Jack, that’s a homerun. The iPhone SE doesn’t need major improvements, it just needs to be updated for the demographic who prefer the smaller form factor. Don't understand the SE love. It's like being in love with a Toyota Camry instead of a Porsche 911. Some of us like to be efficient and discrete and run errands around town. ugh, why would anyone buy that thing but if they HAVE to, why can't they at LEAST make it the form factor of the 6 series. Because clearly there is a demographic that likes a smaller form factor. Why does the iPhone 6 have any relevance? When the point of the SE is a to have a smaller size iPhone. Not everybody cares about a larger iPhone with latest technology. Always been my favorite shaped iPhone. I'd love to see a return of the 5c form factor but with updated internals. The iPad mini needs some love too. Go check in with fans of the SE here on the site..